Get ready, Denver. It’s summer! Many people think that Colorado is beautiful in the winter, but summer is when Denver shines the brightest. Literally – there are 300 days of sunshine a year in Denver. Make the most of that sunshine by enjoying some of our favorite summertime outdoor activities. Everyone will be headed to the Denver Zoo this summer, but there’s another local spot where you can get close and personal with wildlife. The Rocky Mountain Arsenal National Wildlife Refuge is home to 330 animal species that roam freely. The Denver Botanical Garden blends outdoor sculpture with all the bounty Mother Nature has to offer. They host a summer concert series as well which features big stars and local musicians. It is rare to find a city that has world-class whitewater rafting…but Denver does. Denver natives are lucky to live in an area that provides the thrill of careening through the mountains on a river of rushing water. Thousands trek into downtown Denver during the summer to catch a Colorado Rockies game. (Fun fact: you’ll be exactly a mile high at Coors Stadium.) But Major League Baseball isn’t the only game in town. Denver’s Major League Soccer team, The Rapids, battles teams from across the continent during the summer months. There are also a a number of Minor League Baseball teams in the area, including the Denver Zephyrs. Everybody is rock climbing in Colorado, so you might as well give it a try! Beginners should start with an experienced climber at Boulder Canyon, where there are a number of routes under a 5.6 rating. On the weekends, Denver’s streets are filled with farmers markets and artisans selling their handmade wares. It’s a great way to spend a relaxing afternoon. Colorado is filled with national parks. Pick one as your dedicated park for the summer and spend the season exploring its every nook and cranny. The Colorado Trail stretches an astounding 500 miles. Covering the northern end of the trail is a right of passage for every Denver local. Outdoor performances are everywhere in Denver during the summer. Street performances in old downtown Fort Collins, concerts at the Mishawaka Amphitheater, and outdoor music events at Red Rocks are just a few of the many events that you can enjoy. Step outside and you are bound to be entertained. 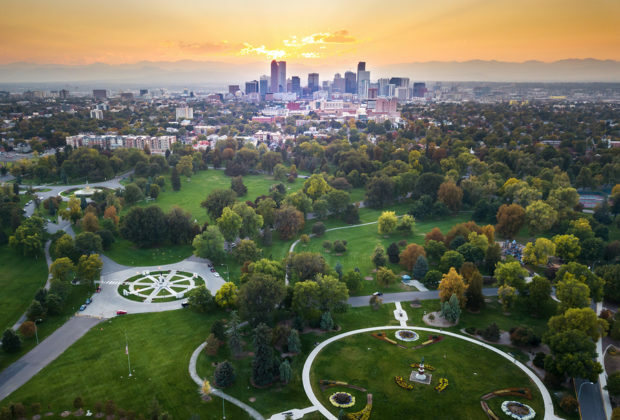 Moving to Denver this summer? Let Square Cow Movers do the heavy lifting so you can have fun in your new city! Give us a call or visit us online for an instant moving quote.